The waterfront city of Plymouth is surrounded by stunning coastline and beautiful countryside so there are plenty of camping and glamping sites within easy reach. To the west are harbourside Cornish villages, to the east is the South Devon Area of Outstanding Natural Beauty and to the north you’ll find the Tamar Valley and the wild expanses of Dartmoor. 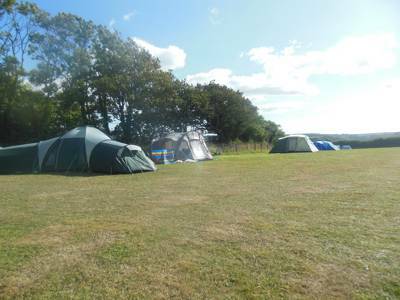 The city’s sights and attractions offer plenty of things to do on days out during a camping holiday near Plymouth and the variety of surrounding scenery mean you should find a site to suit you whether you prefer coast or countryside, camping or glamping. 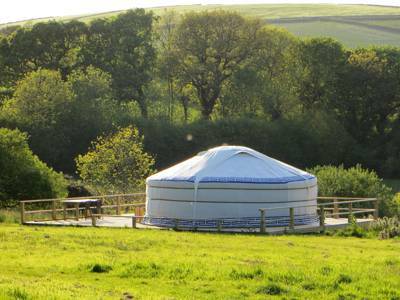 If you’re looking for camping or glamping in Plymouth and its surroundings, you’ve come to the right place. 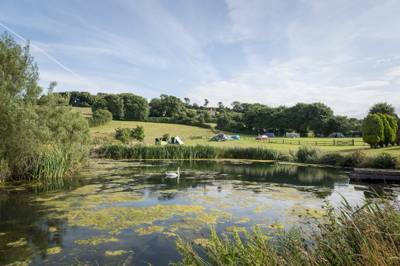 The Cool Camping travel experts have searched the coast and countryside all around this vibrant waterfront city to find the very best camping and glamping sites South Devon has to offer. 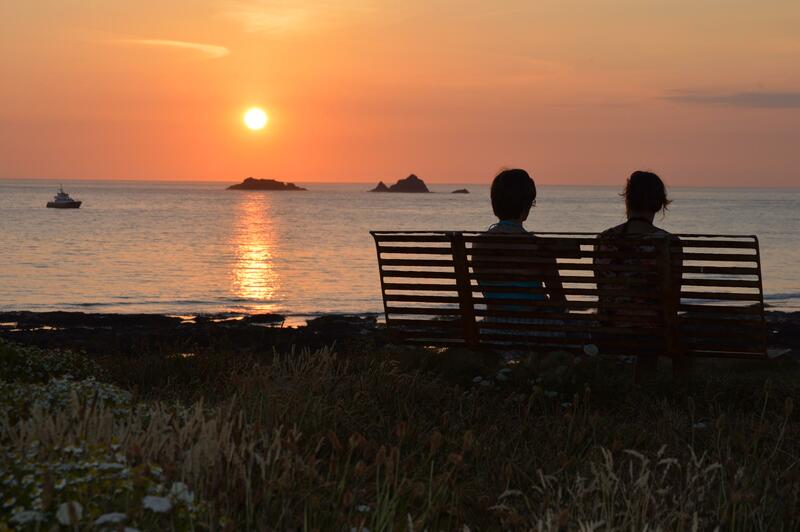 Thanks to Plymouth’s magnificent location on the south coast, just below Dartmoor National Park, it is surrounded by stunning scenery that makes awesome backdrops for any camping or glamping holiday. 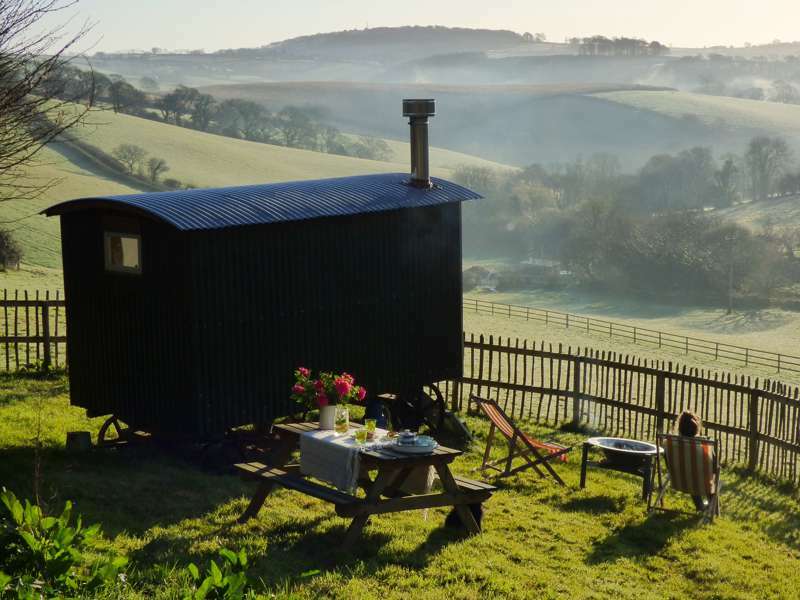 Whether you’re the kind of person who thinks it’s just not camping unless you pitch it yourself or a luxury-loving glamper who is looking for as many bells and whistles as possible, our collection of camping and glamping sites near Plymouth should have something to suit you. We’ve tried to cover all the bases and have found everything from back-to-basics campsites to glamping sites with pods, bell tents, yurts, shepherd’s huts and more. No matter how you like to camp, rest assured that our collection features only places that have had the thumbs up from our well-travelled camping and glamping experts. The bustling city of Plymouth is set around Europe’s largest natural harbour. Along with all the usual sights and sounds of city life, the sea is the major attraction. You can visit the National Maritime Aquarium, go for a swim at the Art Deco Tinside Lido or visit Plymouth Hoe and climb Smeaton’s Tower for a bird’s eye view of the area. Outside the city, there’s plenty to see and do too on days out during a camping holiday in Plymouth or South Devon. Head over the county border to visit the Cornish seaside resort of Looe or east along the coast to Wembury for beaches and rockpooling within the South Devon Area of Outstanding Natural Beauty. The peaceful Tamar Valley starts on the outskirts of the city and offers miles of riverside walking, cycling and countryside exploration with Dartmoor National Park’s wilder beauty just beyond. For more things to do during a Plymouth camping holiday, take a look at the Visit Plymouth website. 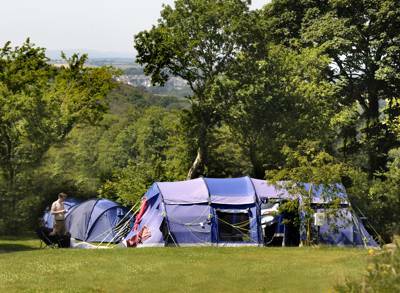 at Plymouth Camping, Whether it's rambling in Dartmoor National Park, exploring the riversides of the Tamar Valley or kicking back on the beaches of the South Devon coast, there is plenty for campers to do around Plymouth. Find the best campsites in the area with this hand-picked collection.